Thank you for your detail in these east side hikes. We found Agua Caliente Hill on accident, and have now hiked it three times, reaching the pond this last trip. Looks like we have a long ways to go, but after researching Agua Caliente Hill we stumbled upon your blog, it looks like we have some other trails to check out! Again thanks for all the hard work you put into your blog. Loved it!! And thank you Sean for your kind words. 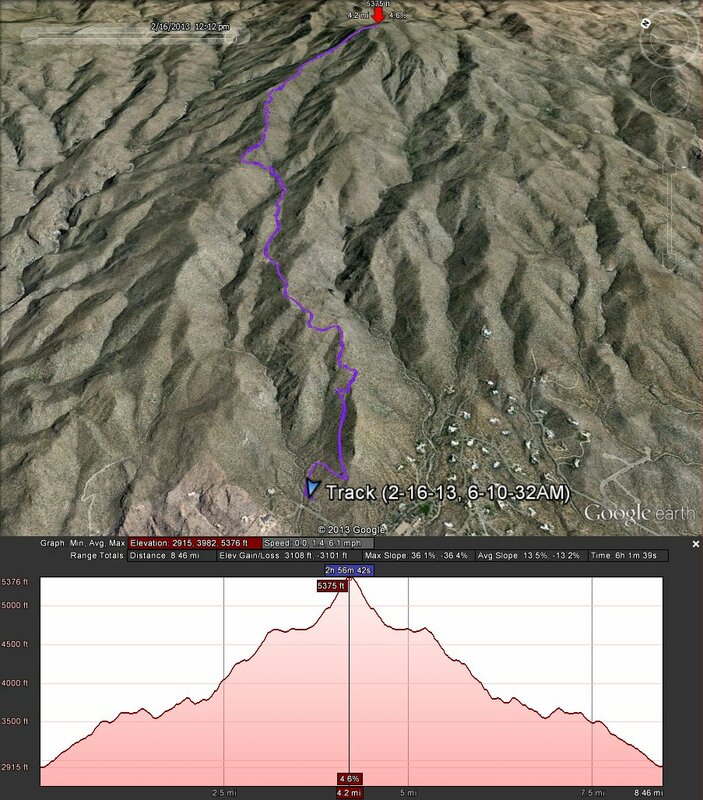 The first time I climbed the Agua Caliente Trail (which was only last year) I didn’t even make it to the pond. I remember asking someone on the trail what was ahead and they mentioned the pond, and I thought wow, it would be neat to make it that far. (By the way, that first trip was a hard one because my muscles started cramping up and I had a difficult time making it back to my car!) Well, the next time I went up the trail I made it to the saddle and a bit up the next hill. Like you, I didn’t realize how much farther the trail actually goes, well until I looked at it in Google Earth. And so I determined then and there that I just HAD to make it up that hill. And I did. And that’s even though I need to lose about a hundred pounds! Thanks for dropping by and take care! I just found your site. I have just started exploring the east side, and Agua Caliente is on my radar. It looked pretty challenging, and your post and the comments seem to confirm it. Thanks for the write up! Pingback: Tucson Hikes – Agua Caliente Trail | North American Camping | A blog about getting outdoors more, either by fishing, camping, hiking, hunting, or whatever you like.